This painting started with such bright skies, it’s not really a surprise that it took such a surrealist bent all the way to the finish line. 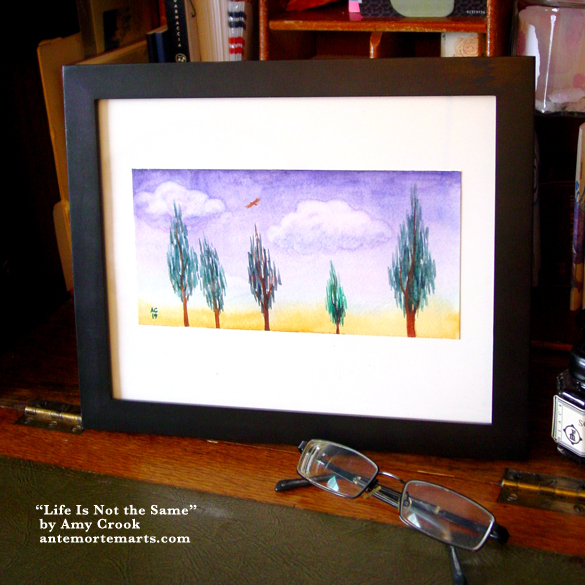 The trees in the foreground seem almost hyperreal against the softness of the clouds, with a red hawk gliding between the two states. The title is from the Spiderverse soundtrack, the line, “Life is not the same with your picture in my frame,” that somehow spoke to the sense that each component of this painting lives in a slightly different universe from the others. 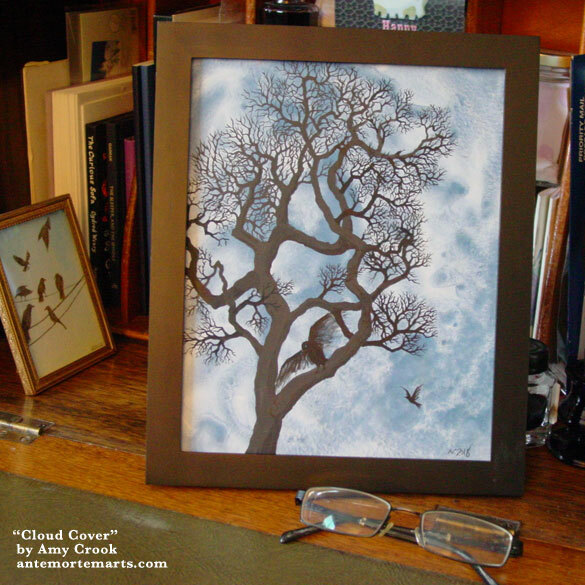 Above, you can see the red hawk, circling among the fuzzy clouds, above the brushstroke trees. Below, the painting is waiting in a temporary frame to fly to its new destination. 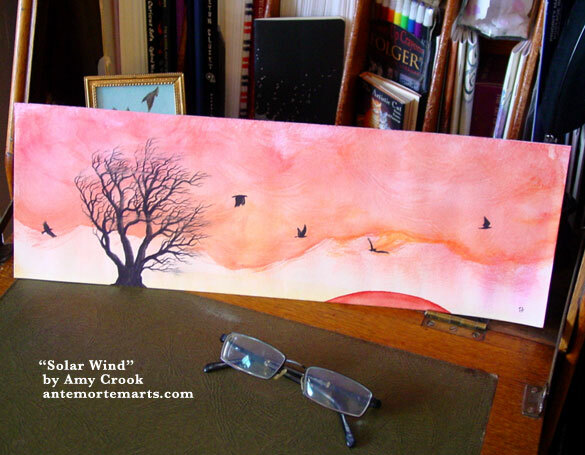 A lovely, large panorama of sunset and birds and a windblown tree, this painting is a moment at the edge of night, just as the sun is slipping away below the horizon and off the page. The clouds reflect the bloody light from below, refracting it into orange and pink as well as red. Five beautiful blackbirds ride the winds of evening, slipping past the tree that autumn’s already caught ahold of and stripped of its summer foliage. A full foot and a half wide, this painting will need some special framing, but it would make a beautiful, warm addition to any room. 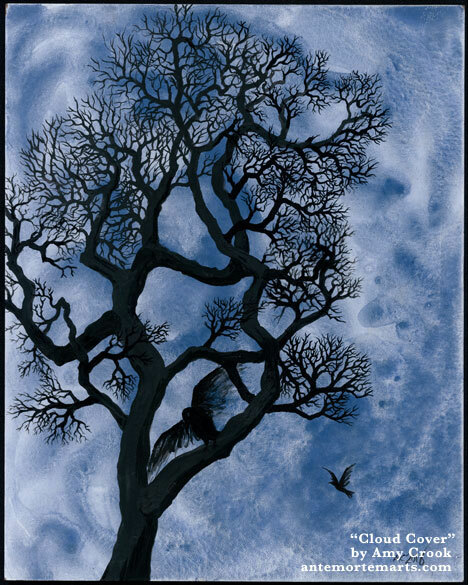 Above, an up-close view of the windswept tree and wispy clouds, as well as one of the five intrepid crows riding the breezes. Below, a very wide shot indeed to encompass this whole panorama. 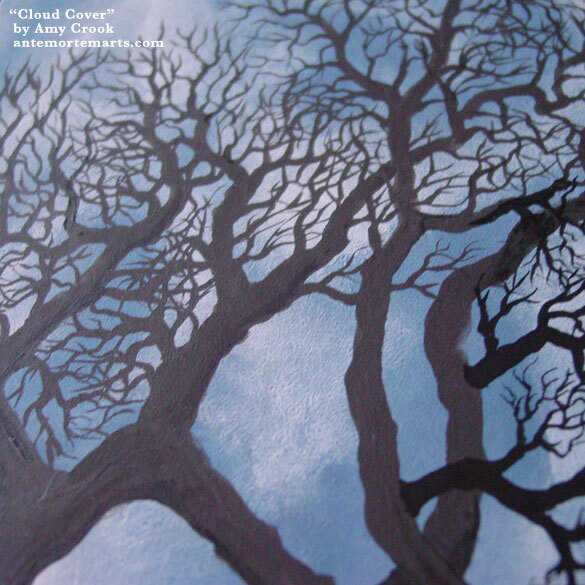 A sky filled with clouds, covered from horizon to infinity with smudging swirls of blue-grey in an endless cover. 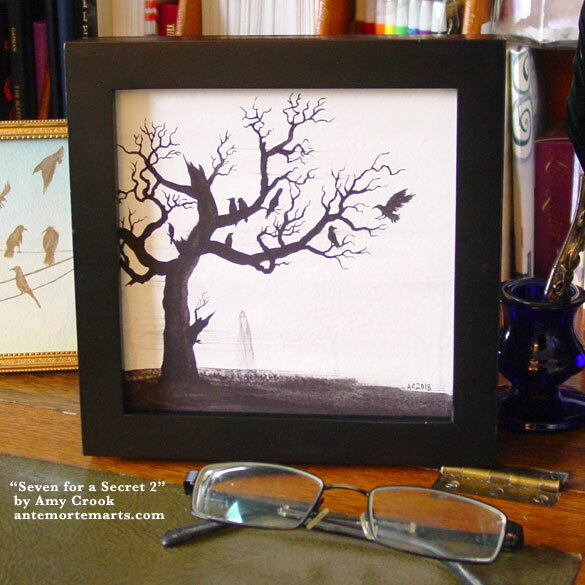 A skeletal tree rises up against it, the details fine as lace. 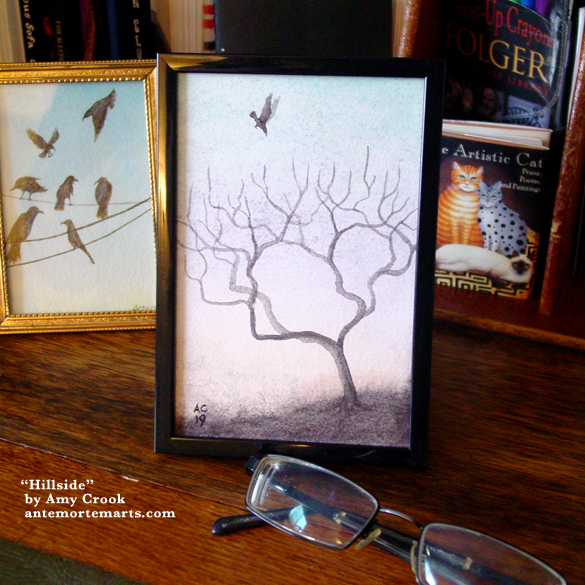 Branches tangle and twist, while a black bird comes to rest, wings a blur of motion, and another flies close. A lot of this month’s paintings are dichromatic, ink on paint, a mix of a beautiful, nearly abstract background with a black-painted foreground. This one is made of a dark, opaque ink that holds texture and gives a sense of dimension as well as the simplicity of silhouette. 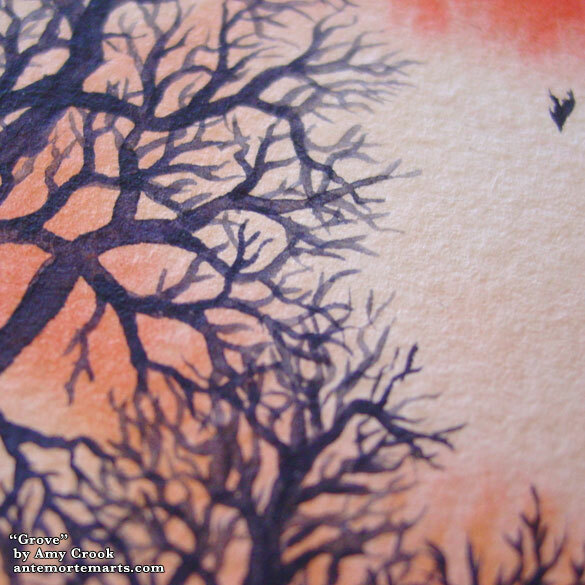 Above, you can see the textures of ink, board, and paint weaving together to make a beautiful tree. Below, the painting is in its temporary frame, like a window into a piece of autumn. Now that spring is sprung and summer is on its way, it’s back to longing thoughts of autumn and winter, and trees bare of their leaves (and their evil, evil pollen). 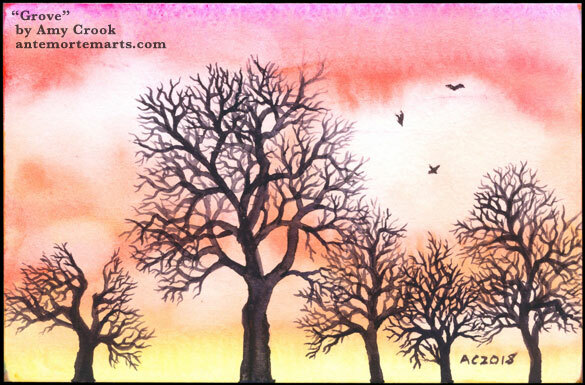 The sky is painted with gold and red, pink and orange, and the trees have a depth to them that invites the eye to trace out branching pathways like handmade lace against the peachy clouds. 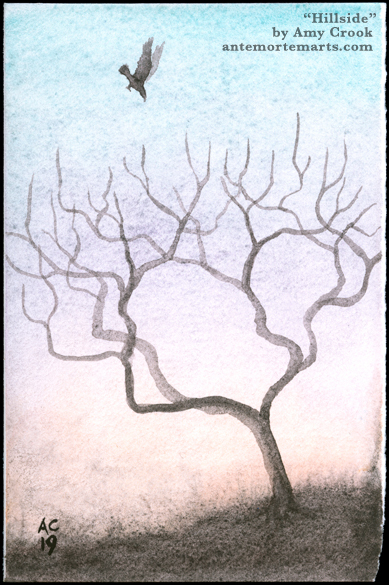 Above, you can see the soft oranges of the sky and the interlacing branches of these dormant trees. 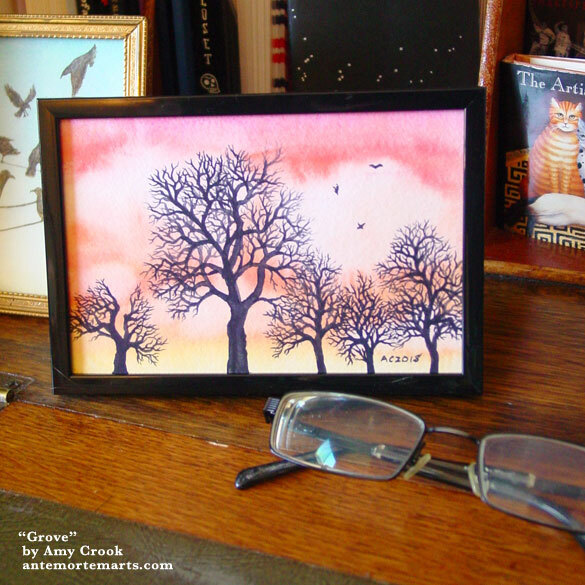 Below, they’re in a small frame, perfect for adding a bit of beauty to a tiny space. A horizon at the edge of day and night. 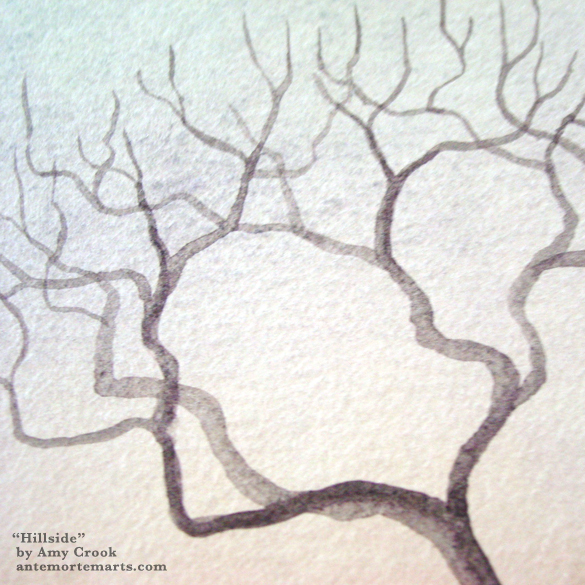 Twisted skeletons of winter trees. 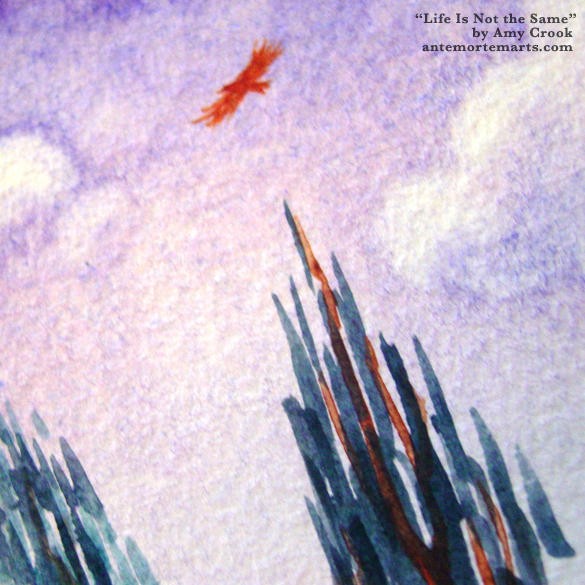 Birds flying in the background. 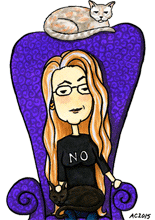 It’s a bit on the nose to call this typical example of my oeuvre “Me Three,” but sometimes the titles pick you. The sky is a beautiful clear blue shading to the gold of sunrise, and the clouds float above with a mix of golden light and purple shadows. Trees full of character show just a touch of texture in the gleam of morning. A trio of long-necked birds make their way through the morning air. 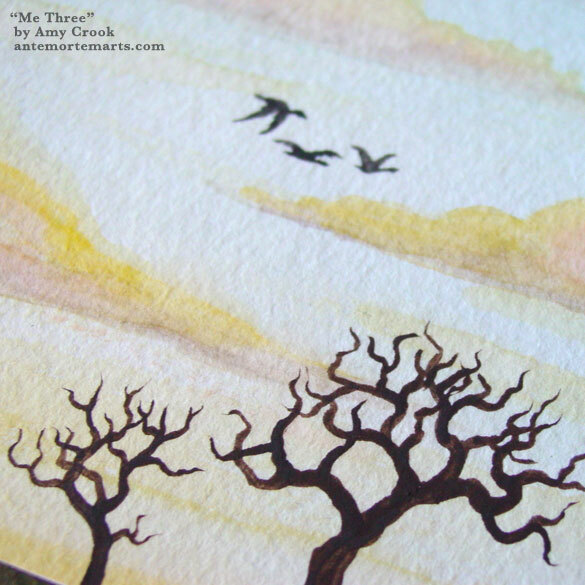 Above, you can see the twisty trees, wispy clouds, and flappy birds. 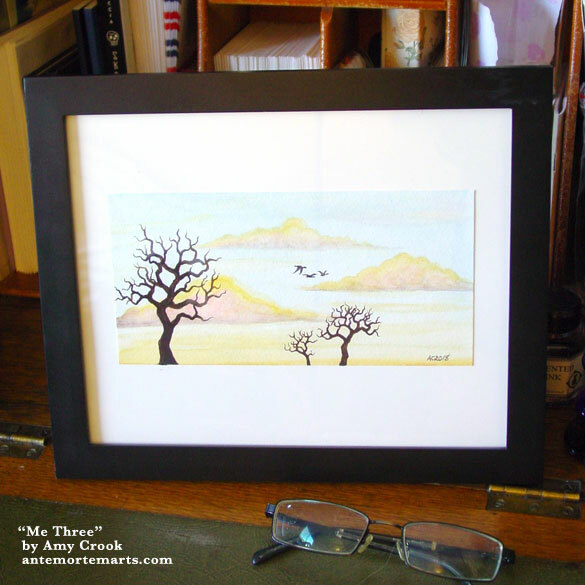 Below, the painting is tucked into a frame, just waiting to find its home with you. 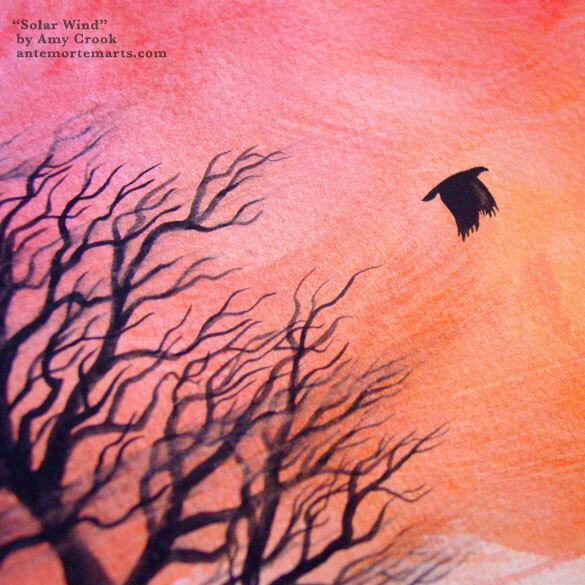 This moody series of Counting Crows paintings has its seventh addition! The tree here has clearly been through quite a bit of storm-tossing or other rough handling, with broken branches and even the top pointing jaggedly to the sky while it spreads itself as well as it can with what remains. 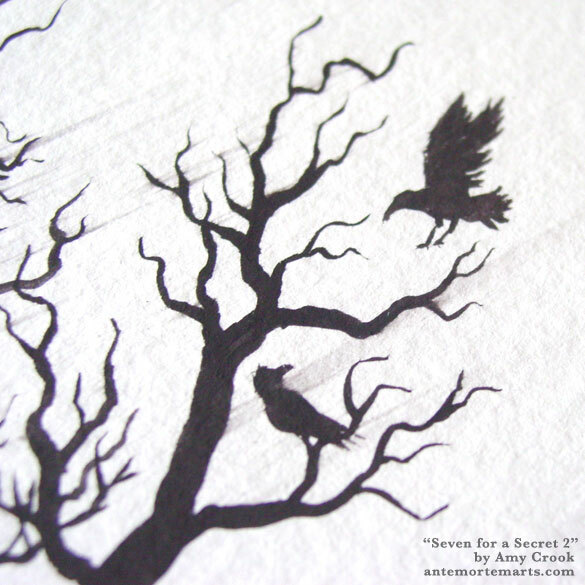 A murder of crows alights, and a ghostly figure awaits in the fog. 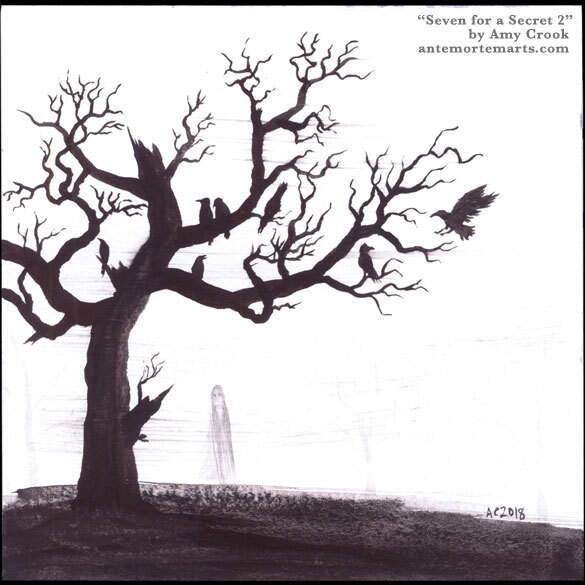 Where would you show this seventh secret? Above, you can see a couple of the crows, a fraction of the full murder. Below, they’re in a frame like looking through a window into another, spookier reality.